iPower Grow Lights Adjustable Flexi Ratchet Hangers will support everything from the most heavy duty to the most delicate pieces of your grow room equipment so you won’t have to worry about a budge, slip, or fall. 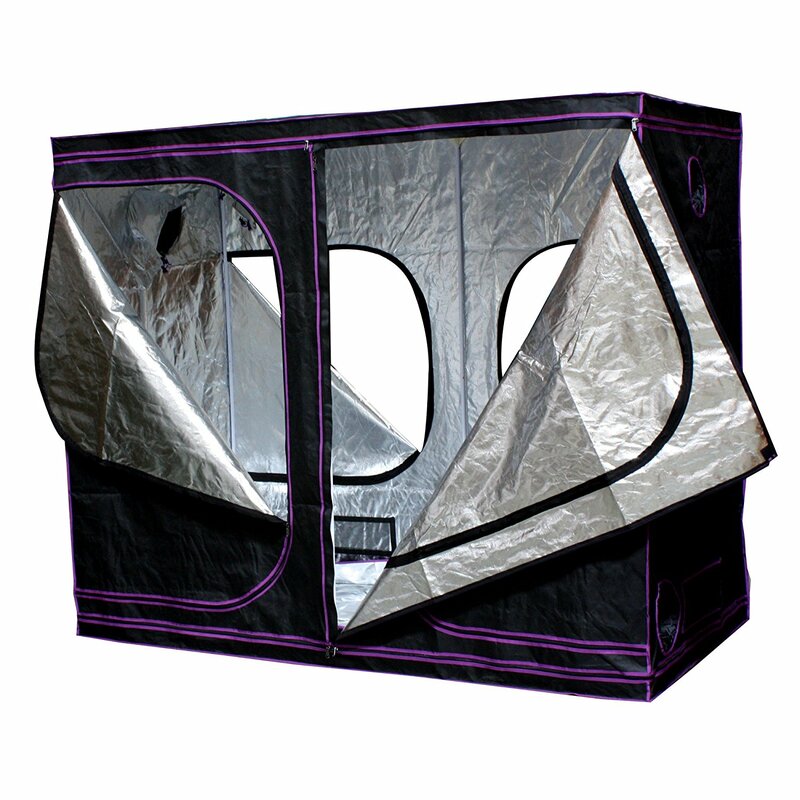 If you use the Light Hanger for luminaries in a grow tent we recommend that you install the Light Hanger with the free end carabiner to the ceiling frame and the mechanism to the luminary as illustrated. This way, you will not put any stress on your tent frame when hoisting and it enables easier adjustment. 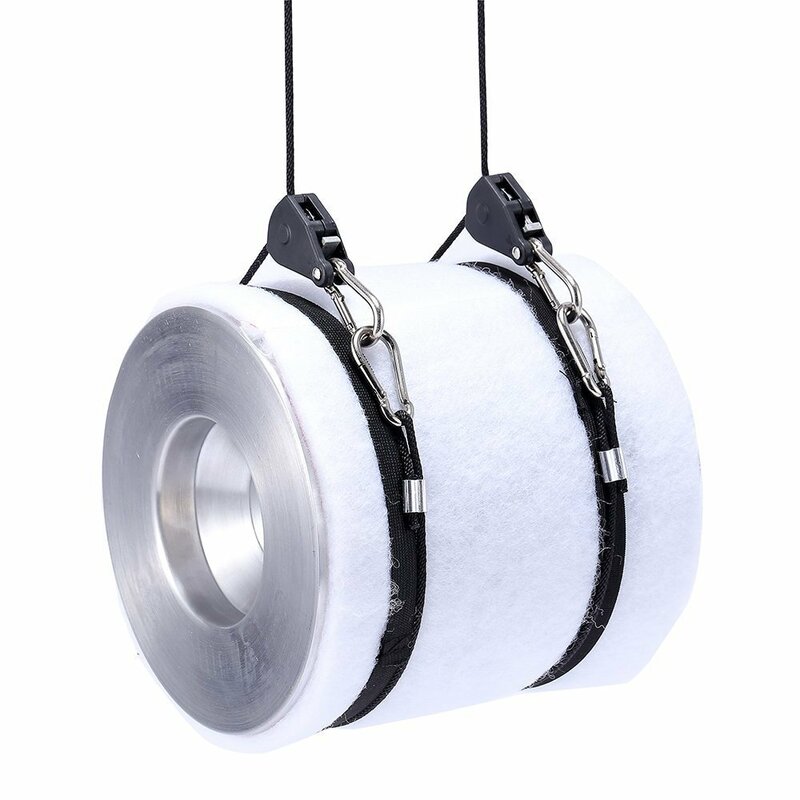 For filters, we recommend that you attach the free end with the carabiner around the filter to avoid rotation of the filter when hoisting. 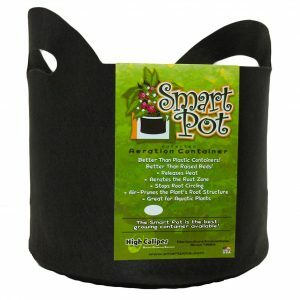 Support the filter when hoisting it to avoid stress on your grow tent frame. 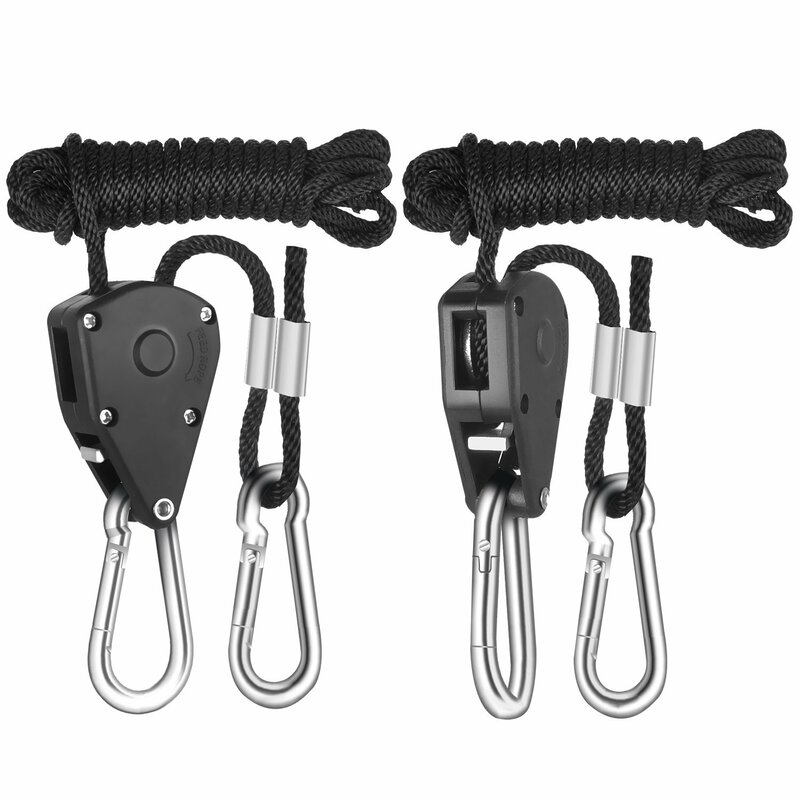 Our easy-to-use suspension system is a real snap – Simply clip, pull and lock! 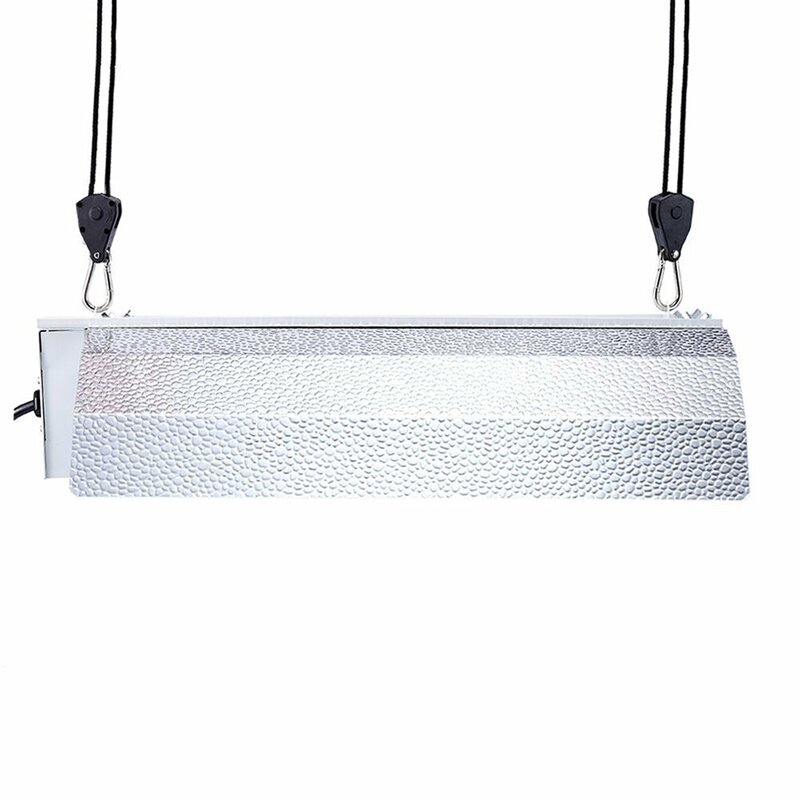 This reflector suspension system enables you to raise and lower the light in one simple movement. With tension mechanism, the hood will stay in place once set at the desired height. 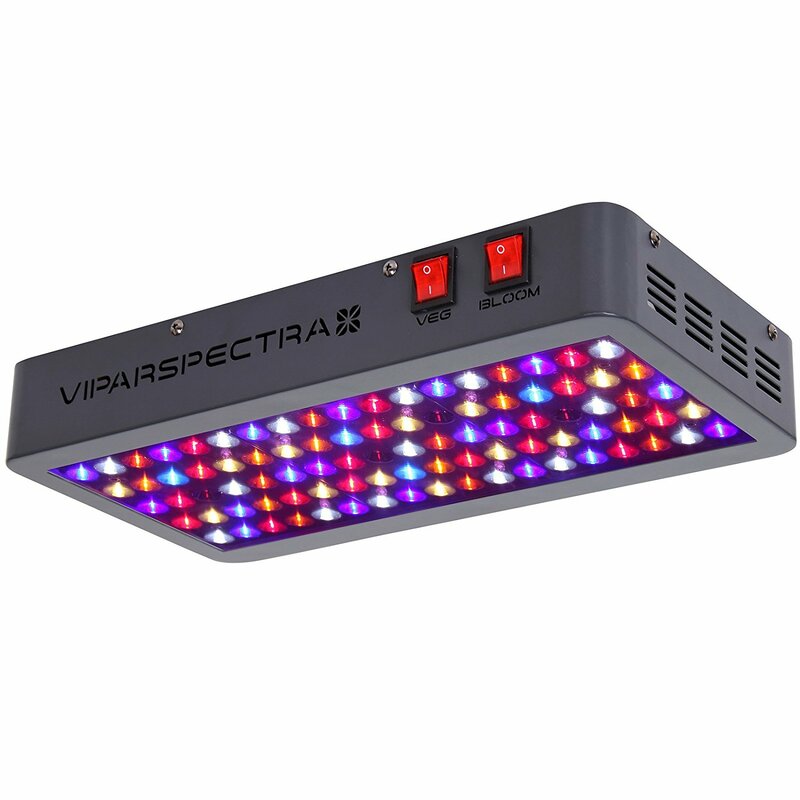 Easily raise your lights when you are doing your routine work in the room, and just pull them down when you leave. 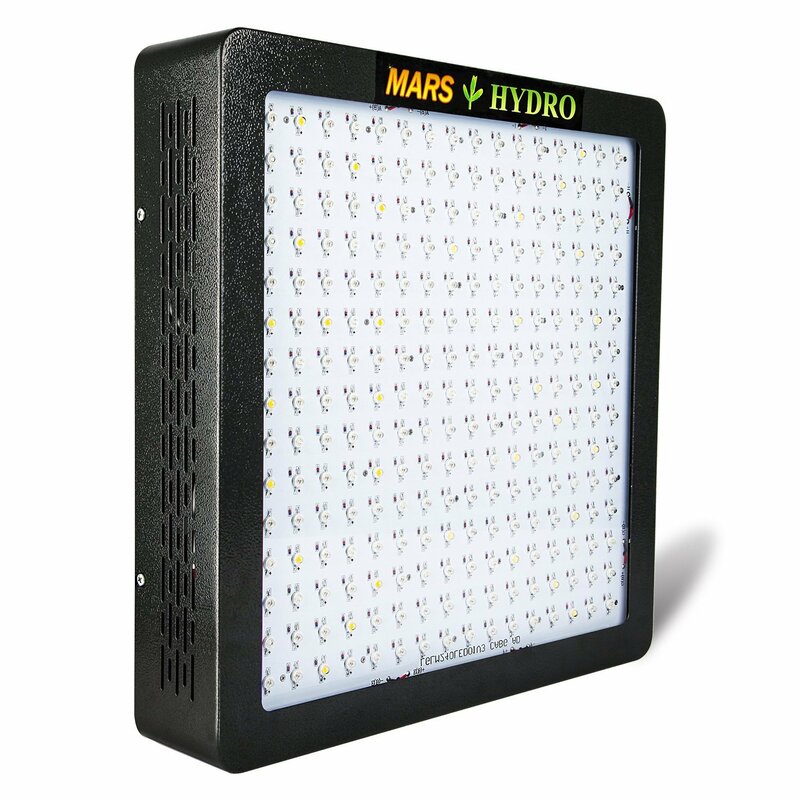 It also perfectly meets the requirement of adjusting the hood to provide different light supply as plants grow.Lift!